PolarBar minibars are quality engineered and come with generous internal cabinet space, simple and stylish design, low energy consumption and silent absorption technology. They represent great value for your hotel. The standard PolarBar minibar is available in 3 different sizes with either black door, black framed glass door or aluminium framed glass door. Also available is the PolarBar Drawer minibar with black door. PolarBar minibars are quality engineered and comply with the latest global refrigeration standards for in-room minibars. Their features include low energy consumption and silent operation at an affordable price. 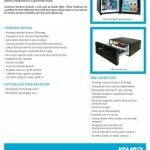 With their large stacking capacity and flexible shelf solution for easy cleaning, they are guaranteed to keep your guests and staff satisfied. PolarBar minibars operate using advanced absorption technology. Absorption refrigerators differ from compressor refrigerators in that absorption cooling produces cooling by using heat energy rather than mechanical energy. Absorption minibars are a popular alternative to compressor refrigerators where electricity is unreliable, costly or unavailable. The use of environmentally superior Cyclopentane in the insulation manufacturing process, and the use of ammonia for absorption refrigeration mean that these minibars have negligible environmental impact. They are 100% CFC and HFC free. All products are CE certified and produced according to ISO9001:2000 and ISO14000 standards and WEEE regulations. 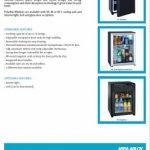 The PolarBar Standard minibars are designed as either free stand-alone units or to be mounted in cupboards or similar. They come in three sizes - 30 litre, 40 litre and 60 litre. There are also three contemporary designs to match your hotel room. Also available is the 42L PolarBar Drawer minibar that can be inserted in units or stand-alone. Stocking capacity of up to 24 facings (38 facings for Drawer minibar). Adjustable transparent door racks for high visibility. Removable shelving for easy cleaning. Thermal insulation manufactured with Cyclopentane CFC/HCFC free. Fully automatic defrost and easily adjustable thermostat. Strong door hinges convertible left to right. All-round magnetic seals to keep the door perfectly shut. 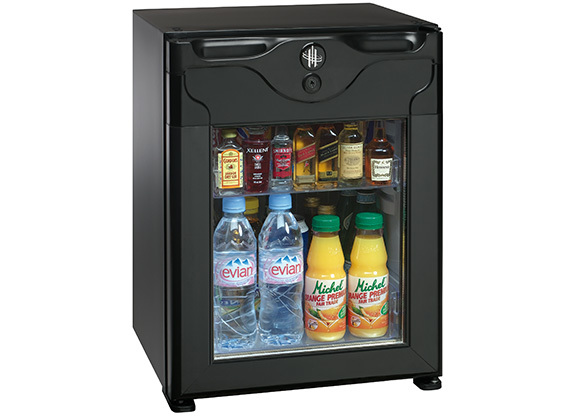 Available sizes for the standard minibar are 30, 40 and 60 litre. The drawer minibar is available as 42L. 3 different door options available for the standard minibar.